There are a variety of California and federal laws that require employers to allow an employee to take a “leave of absence” from employment. Leave of absence laws are generally focused on protecting the right of employees to pursue protected activities, including seeking treatment for protected ailments, and thereafter return to work. These laws often provide harsh penalties to employers that do not allow an employee to take a leave of absence and/or to make attempts to have the employee return to work. This article will discuss and compare certain leaves of absence requirements set forth in the Family Medical Leave Act (FMLA), the California Family Rights Act (CFRA) and the disability/medical condition laws pursuant to California’s Government Code. FMLA generally allows employees to take a twelve (12) workweek leave of absence per year to attend to the employee’s serious health condition, the serious health condition of certain family members, the birth of a child or the adoption of a child. Under FMLA, non-key employees must be reinstated to the same or equivalent position. California Family Rights Act CFRA is very similar to the FMLA, but differs in a few ways. Notably, the CFRA does not include disabilities due to pregnancy, childbirth or related conditions. Both FMLA and CFRA laws only apply to employers that have 50 or more employees within a 75 mile radius and an employee must meet certain employment requirements. Many small businesses do not have fifty employees within a seventy-five mile radius. These small employers typically do not understand that their employees may still qualify for a leave of absence. In fact, the leave of absence requirements that exist for small employers is arguably more burdensome than the requirements set forth in FMLA/CFRA. In California, businesses with five (5) or more employees must comply with California’s tough discrimination laws pursuant to the Fair Employment and Housing Act (FEHA). In many ways, the rights granted to employees pursuant to FEHA extend way beyond the rights afforded by FMLA/CFRA. In California, FEHA protects employees with medical conditions and disabilities. A disability is a physical or mental condition that limits a major life activity. Government Code § 12926 et seq. Disabilities include short-term or temporary conditions and include conditions that merely make a major activity “difficult”. Government Code § 12926(m)(1)(B)(ii). California deems “working” a “major life activity”. Government Code § 12926.1(c). California also protects employees when the employer “perceives” that the employee has a protected physical or mental condition. Government Code § 12926.1(d)(3). As stated, California disability/medical condition laws protect employees that work for employers with only five (5) employees. Like FMLA, FEHA requires employers to provide a reasonable accommodation to employees with a disability unless doing so would produce an undue burden on the employer. Government Code § 12940(m). 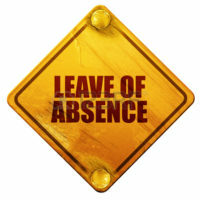 And also like FMLA, FEHA states that a finite “leave of absence” may be a reasonable accommodation. Jensen v. Wells Fargo Bank (2000) 85 Cal.App.4th 245, at 263. This begs the question as to what qualifies as a “reasonable accommodation”. Unfortunately, FEHA does not provide a length of time that an employer must keep a position open while an employee is on leave. Is it reasonable for a small employer to hold a position open for 1, 2 or 6 months? How about one year? Businesses across California are getting sued by former employees who claim that the business did not provide a long enough leave of absence to recover from their disability/medical condition. Such lawsuits can often be very expensive and time consuming and may be avoided by seeking the advice of experienced counsel. In the event your business is experiencing issues related to an employee disability or medical condition, it is important to seek the advice of an experienced attorney.